"Getting to Florence – helping you decide what transportation to take when you travel to Florence from the port of Livorno." Even if you are usually a very relaxed person and like to let your days in ports of call unfold on their own… Florence, Italy is not one of those ports where this approach works well at all. Due to the fact your ship will be docked in Livorno Italy, a smaller port town 80 km away from Florence itself, getting to Florence should be taken seriously before you even step foot on the ship. Whether or not you have invested some time into planning your Florence transportation can make or break your day! And here at Mediterranean Cruise Ports Easy, we’ll do everything we can for you to have the smoothest possible time in Florence - in our Florence articles you should find everything you need to have a fantastic day in this exciting port of call! To see the distance of Livorno cruise terminal from Livorno center and train station check our Livorno Map! Perfect for those who love the individual attention, comfort, flexibility and direct interaction with tour guides. Also, if you travel with family or a bigger party this can be the best way to accommodate a larger group of people. When booking an independent tour, make sure you are clear whether you will have an official and qualified tour guide, or just a tour driver that will drop you off at certain points. This is very important for Florence if your primary goal of travelling there is learning about its history and attractions. If you’re simply into soaking up the atmosphere and learning from your book guide, being dropped off by a driver to explore on your own will be just fine. Also, find out whether your tour company is certified to enter the Livorno port and wait for you by the gangway. 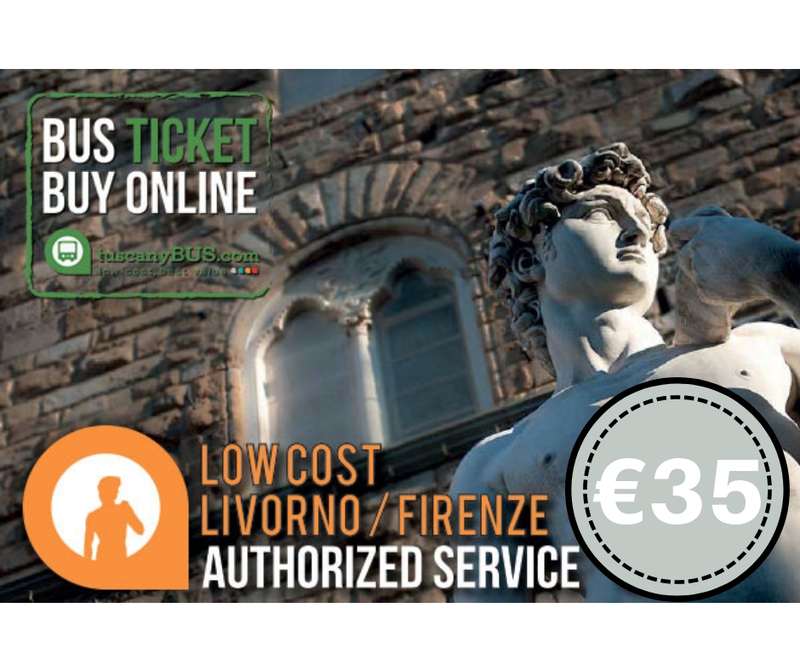 If not, you will have to organize your transportation to Livorno Piazza Grande, which will add more cost to your getting to Florence. Usually, about 50% of the cruise line passengers will decide to reach Florence with one of these. If this is your first time in Florence or this part of the world and you feel insecure about getting around and your brain is in vacation mode, taking a shore excursion is a great option for you. Will you have to pay more for the pleasure of being on autopilot? Yes, but if money’s not an issue, go for it. If you are considering this option, make sure you read some great tips, budgeting advice and general guidelines on Booking shore excursions on your Cruise Vacations by the TV Travel Show Producer Marianne Schwab. This is for those who like to be their own Cruise Directors ☺. If you travel a lot, you know that it is always possible to get from point A to point B on your own. And you are so right. 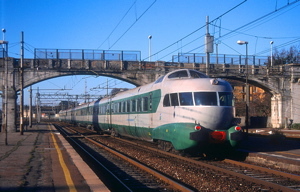 If you don’t like to stay stuck on a tour bus with the same people you’ve been sharing the ship with for days, have your own idea of what you’d like to see in the port of call or simply want to save some money… you can easily get from Livorno ship dock to Livorno Centrale train station and from there reach Florence. To see the distances between Livorno cruise terminal and Livorno Centrale train station, check our Livorno map! 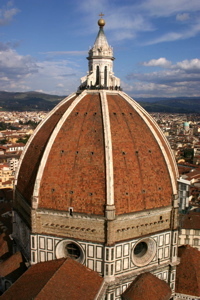 We have prepared a detailed set of instructions in our article Travel to Florence by train. TIP: Make sure you know your “all aboard time” before leaving the gangway, as you are responsible to return to the ship on time! If you looked at our Livorno map and thought that taking a train from Livorno to Florence might involve a bit too much planning for your taste, this is your lucky day! 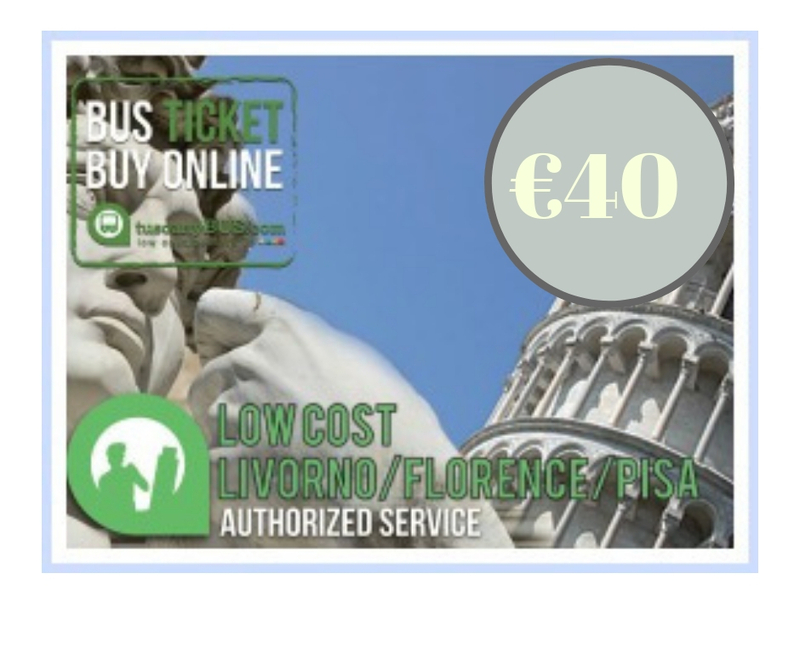 There is actually a no-brainer bus service that takes a lot of stress out of your Livorno-Florence independent travel planning. And it's super affordable, too! Read all about it on our Livorno to Florence by Bus page. As you get off your cruise ship onto the pier surrounded with containers and nothing much else around, you will see a number of taxi drivers offering one way or round trips to Florence, Pisa Italy or Tuscany. They will have some kind of posters/boards advertising their itineraries. These taxi drivers will not be willing to take you to Livorno train station only. If you are interested in how to get to Livorno Centrale train station in a taxi, you can find more information in our article Travel to Florence by train. Depending on their level of proficiency in English, these drivers will often act as your impromptu guides, especially if you’re taking a trip around Tuscany. They love to show you the little hidden gems, restaurants that only the locals know about and small wineries. However, you cannot expect them to walk you around Florence explaining how the Renaissance was born here. In Florence, they will simply wait for you and meet you at a pre-arranged time to take you back to the ship. For the whole day tour, expect to pay around €350. If you are a couple and maybe split that with another couple… you will pay about the same price you would have paid taking one of the ship organized tours to Florence. But if you’ve been to Florence before, or have two days in this port, and you want to see Tuscany through the eyes of a local… now it might be worth it! Most of these taxi drivers will have smaller vehicles for up to 4 people. If you travel with a larger group and need a mini van, book one of their tours ahead of time online to make your getting to Florence stress-free. TIP: When booking an independent tour, check what their cancellation/refund policy is in case your cruise ship cannot dock in port due to weather conditions. If you like to be completely independent and take things into your own hands, you might consider going with car hire when it comes to getting to Florence. When booking your car online have in mind one thing: not all the companies can deliver the car straight to the ship. To our knowing, it is only Hertz and Avis that are certified to do this. Before making a final decision, keep a few things in mind: finding a car park in Florence is not the easiest thing. Once in Florence, you will not need a car at all. Florence is perfectly walkable and the whole center is one big pedestrian only area. So even if you wanted, you wouldn’t be able to use the car. Taking a car rental to get to Florence might be a better option when wanting to do a little tour around Tuscany! Like Getting to Florence Page?